There is a natural joint pain relief treatment that works better than the current RICE therapy. And this is not just us saying it, the science referenced below backs this up. While this is a radical change in thinking, it is in reality, just a shift in thinking. Using traditional treatments in a unique way. Consider the science. Once you have, try it. See if it does not work for you too. It will only take 3 minutes to feel it for yourself. 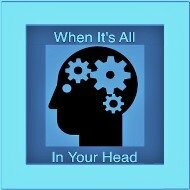 What if we could provide analgesia with out altering the level of consciousness? What if it was easy, simple and inexpensive? What if it could be used and would still allow for someone to operate machinery or even drive safely? What if the cost allowed more people to be able to use? 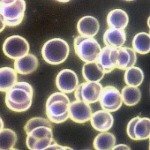 For the past two years, we have been using a natural joint pain relief technique to help hundreds of people attain pain relief. When the various components of the combined treatment, the results are even better than we could imagine. It also had good results that could not have been imagined. It is so simple, you can try it at home. It is so easy, while products will spring up that will make millions, they are not necessary. The threshold to start using this method of pain management is so low, almost anyone could. We propose an change in the way we treat minor injuries based on the science and a bit of common sense. While many may consider this as an alternative form of treatment, it is actually just a modification of the standard care that has been provided for decades. The implications can be far reaching. While we have been using the protocols with private clients we coach as well as athletes in sporting events. Once further research is available, this treatment could help even more people. Our goal, reduce pain, help prevent injury, promote faster healing if there is an injury and have less days lost from work or play. In our coaching program, this has been in use for the past two yeas now and we have not seen any unwanted side effects. It will be impossible to do a double blind study of our method but, it will be feasible to test for endurance, strength improvement, recovery times and overall feeling of well being. Why do some pro sports athletes get chronic traumatic encephalopathy (CTE) and others don't? We would like to offer a possibility of a link between CTE and hydration status. While it will be impossible to measure hydration, there would be commonalities that could be discerned among those who do experience concussions. Our hypothesis: this natural joint pain relief treatment would decrease CTE risks. While nobody knows the benefits of hydration to had hits, we do know in every other way, a fully hydrated body is protected from injury better than a dehydrated body. The only exception is a full bladder may increase the chance of bodily risk in an accident. The difference with the brain is the movement of the brain. RICE or Rest, Ice, Compression and Elevation has been the standard treatment for athletes and weekend warriors with mildly sore limbs. But the science does not support its use for more than pain relief. Research suggests it could even set athletes up for greater injury or slower recovery. We propose a new way to use ice and to prevent, heal and recover the injuries that are being treated with Ice. We call it SWIS. More on this below. We also propose a safer way to improve hydration status and improve recovery, healing as well as help prevent injury in the first place. While many elite athletes may end up dehydrated at the end of their performance, one accepted way to shorten recovery time is to give them a saline IV. We propose an oral version of a saline IV, only with less salt than in an IV and increasing the trace minerals. 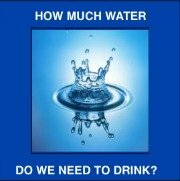 This can be accomplished with the Water Cures Protocol, first identified by Dr. Batmanghelidj. While still using the ice, rather than using it on the affected area, we suggest using it on the neck, specifically on the carotid artery. By placing the ice on one side until it cannot any longer be tolerated, then switching to the other until its application can no longer be stood, then repeating on the first and then the second side one more time, the pain receptors in the brain will turn off. The science backing this is below. We were doing it prior to the studies presented here. In our testing, it has proved quite effective. Now it is time for a larger clinical trial to gather even more data. Why do we need to change the way we do things? When it comes to RICE and professional athletes, a review article published in 2012 questioned everything. It looked at over 30 studies on ice for sore muscles that do not have what would be considered a clearly defined injury. The professional athlete will often consider it something that could be worked through, perhaps a strain of the muscles. On any sidelines of any game, you may see pro athletes icing their injuries so they can get back in the game. While this will not matter to most people, for professional athletes, it could be a game changer. So long as fine motor skills are not needed, the traditional RICE method of treating minor injuries is the standard of care. The fail of RICE in competitive sports is because of the rest component that athletes cannot observe in a game. Elbow joint pain relief and healing would be faster. The old method of 'icing throwing arm' will be a thing of the past. If this natural joint pain relief method works in the clinical trials as it has for me, then it will be not only a game changer, it will be a life changer. There are thousand in the world who get injuries for every player you see icing muscles during or after a game. For pro athletes, it was recommended to use short cooling applications and then progressive warm up before returning to play. For everyone else, it is rest. Yet in the real world, we like to stay in the game, just like pro athletes, what ever our game is, even if it is the game of life. Instead of the traditional use of ice in RICE, we propose SWIS. First the Ice:This stands for Salt, Water Ice and Sugar but not the way it is traditionally used. Consider the science of using ice on the neck instead of the injury. Ice is used for minor injuries to help eliminate the pain. Studies show it does help with pain reduction. It has not been fully studied and, it would be impossible to have a blind placebo study as people know if they are getting ice or not. Another confounding factor is that pain is subjective. We each perceive it differently and have different tolerances. Basically, studies have not found a benefit of using ice after exercise and it has also found a few bad side effects. In the 2004 review mentioned above, there was little research supporting the practice. A 2004 review of icing studies presented the conclusion that although cold packs were effective in reducing pain in injured tissues, the research of the overall effect of icing was not fully explored and considerable more research was needed. In a 2011 study (a small one at that) published in Clinical Rehabilitation concluded that "Preliminary effectiveness in the limited-sized trial indicates that the use of ice is not beneficial" in treating muscle tears. The muscles cooled did not necessarily heal faster nor did it feel less painful. Over all, there was little question that icing helps with numbing but it did not necessarily decrease pain. The study found....The cooled muscles did not heal faster or feel less painful. With the numbness came another problem. It reduced muscle power and strength. This effect could last for up for 15 to 20 minutes after the discontinuation of the icing. A secondary problem associated with this is a decrease in coordination. This means the performance of the athletes was impaired and this process could last 20 and even up to 30 minutes. Additionally, icing a muscle could put an athlete at greater risk of injury. The affected limb may not be where you intend and where you think it is or returning to performing. 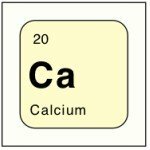 While there are a number of theories bantered about as to why this is, at WaterCures.org, we have been independently studying a better way, a natural joint pain relief protocol. Still using the ice, only in a new way. More importantly, a better way to prevent the injury with the hydration component of our protocol. If the muscle is inured and not working well, and athlete pushes harder, damage may result. Unfortunately, the numbness prevents the pain warning of additional damage. We forget that pain is our friend. The ice could be good as a natural joint pain relief treatment, so long as the 'Rest,''Compression' and 'Elevation' are also employed. Going back into the game and skipping the rest is the main cause of additional and or compounded injury. A secondary negative is the poor healing that results from the iced area. What if there was a way to first prevent, then decrease pain and improve healing? Bottom line, ice can help eliminate pain but should not be used to get you back into the game.....unless you have a paradigm shift on the way you use ice. The change we propose is simple. Thus we propose the use of ice on the neck instead of the affected area. This provides natural joint pain relief and muscle pain reduction. What would be the physiological effect of your brain thinking the body is getting colder than it should be? It would shut down processes that were less necessary for survival and devote attention to those most necessary. We don't need to know we have a minor arm injury when we are about to enter hyperthermia. Icing the neck is a way to trick the mind to shut the pain gates and get the pain sensation turned off temporarily. This is simple and can easily be tested by anyone with a mild injury. While the pain perception and the relief will be subjective, those who have experienced it before, know compared to past experience what benefit they are receiving. More importantly, this is a simple, easy and natural joint pain relief protocol. Anyone can try it for themselves to see that it works. When properly applied, we have found it works with neurological, visceral and somatic pain. It also helps when people are in various states of health crisis, to calm down or to relax people. It will take less than three minutes to test the theory and see if it works. But icing the neck is only one aspect of our paradigm. But the ice is only one part of the protocol. The S and W in SWIS...A Better Way to Hydrate? Based on the work of Dr. Batmanghelidj, we have also independently studied the effects of using unprocessed salt, water and sometimes sugar for energy and hydration. In using it, we have found that it also provides natural join pain relief, helps with pain behind knee and joint and muscle pain in general. The athletes we have tried our theory out on have noted improved performance, a decrease in injures and increased strength and faster recovery. Ironically, we found that they work to decrease pain as well. Next is Water. Purified is better. Then Ice on the side of the neck. The science is well known and common to anyone in health care. 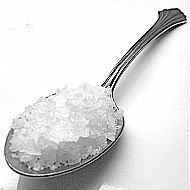 Taking salt orally allows it to be absorbed in the mucous membranes and get into the blood. The unprocessed salts have both less sodium chloride and more trace minerals, including potassium, in ratios that rival the most expensive sports drinks. 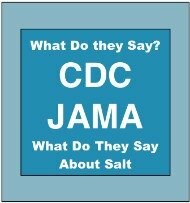 Yet it is a fraction of the cost of those drinks and we recommend a baseline salt intake far less than a saline IV. Perhaps it is in a sense, closer to Lactated Ringers. Our joints do not have direct blood circulation. Yet the joints are dependent on water to work effectively and pain free. The salt helps the water get into the joints and makes this system a second way to attain natural joint pain relief. This may be one of the best joint pain remedies. More is happening than just hydration. One study seems to indicate that, although not looking for it, hydrating with unprocessed salt increased the GSH production. (citation needed). Based on related research, the biology of what happens with the process of hydrating with unprocessed salt, we believe there could be as much as a 13-15 percent increase in strength. 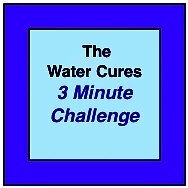 Additional study will be required to determine the actual increase in strength, endurance and recovery with the use of the Water Cures protocol. There is science as well as common sense to back our theory up but our next step, we need a clinical trial. To get to the clinical trial, we need to raise funds required to accomplish the research. The science behind our natural joint pain relief protocol is simple. Hawaii Journal of Med Public Health (2013 Jul;72(7):237-41) in a Randomized controlled trial: targeted neck cooling in the treatment of the migraine patient. it was found that iceing the neck helped with migraine headaches. The study said, "These findings confirm the application of a frozen neck wrap at onset of migraine headache targeting the carotid arteries at the neck significantly reduced recorded pain in participants with migraine headaches." While a migraine is a long way from a sore elbow, remember, with icing a limb, there was a decrease in fine motor skill functionality. So what about cognitive performance? What would be the effect of ice on the brain? In other words, How Well Does the Brain Do When It is Cooled? Eur J Appl Physiol (2014 Feb;114(2):375-84) on the same topic of neck cooling. The study, "Neck cooling and cognitive performance following exercise-induced hyperthermia," looked at the effect of cooling on cognitive performance following exertional hyperthermia. It did not make it any worse. It was a small study, only 12 people. The results are in line with what we have been finding in the past several years of use of our methods. Their CONCLUSION: "Exercise-induced hyperthermia improves working memory and alertness. Neck cooling may only enhance performance in tasks of higher complexity." Med Sci Sports Exerc (2011 Dec;43(12):2388-95) looked at it in yet another way. Titled, "Neck cooling and running performance in the heat: single versus repeated application," it looked at continuos This study aimed to evaluate the effect of sustained neck cooling during time trial running in a hot environment. The CONCLUSIONS: "Cooling the surface of the neck improves time trial performance in a hot environment without altering physiological or neuroendocrinological responses. Maintenance of a lower neck temperature via the replacement of a CC has no additional benefit to an acute cooling intervention." The athletes had greater endurance. Increased endurance means less muscle fatigue and less risk of injury. There are numerous studies about hydration. One commonality that seems to hold true, top athletes who are also top performers are operating on less than completely hydrated bodies. 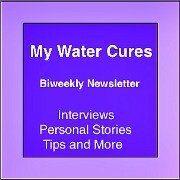 With the basic water cures protocol, we have been able to increase strength, duration. Now as a natural joint pain relief protocol, it can not only serve to protect, it can speed recovery times. While our research is subjective, we believe that a small clinical trial will help this to become part of the standard of care. Our natural joint pain relief protocol has one more part to it. The last S or SWIS is Sugar. While the studies on using sugar for analgesia have mixed results and some indications were that they worked better for women than men, one conclusion found that to the pain relief may be dependent of the individuals preference for sweets. In our use of sugar for analgesia, we have not found any clear pattern. What we have found, using it with the salt, the benefits are varied and improvement is not limited to analgesia. In other words, it is not just a natural joint pain relief treatment, it is much more. It is our hope that with the introduction of this natural joint relief protocol into the sports arena, it will trickle down and become part of main stream health care. The biggest beneficiaries would be those patients in hospice and partaking palliative care. If we can lower pain and improve the quality of life for those who have less than we do, we will have provided a great service to our fellow man. The above is just the basic natural joint pain relief protocol. There is a more advanced protocol for elite athletes. Jonathan Steele, RN is a hydration coach and a holistic nurse natural pain management consultant. He speaks to corporations on the science of proper hydration to improve performance. Recently he has started working with elite athletes and sports teams, providing individualized training. "Our hydration needs are quite unique. There is not a one size fits all," says Steele. "Depending on our make up, the things we consume and when, there could be several basic variations to start with and then each athlete, once educated on how it works, will then have to fine tune his or her hydration practice to get optimal performance working in various temperatures, humidity, altitudes and based on their bodies needs."